Bridge Builders - Heavenly Gaits Therapeutic Riding Center, Inc. The community foundation fostering relationships between donors with passion and communities with unique opportunities and limiting needs. History: The Venango Area Community Foundation was founded on April 30, 1975. The first discretionary fund was created within the Venango Area Community Foundation portfolio on June 1976 by Galena Rew Harrington and Mary E. Rew, both of Franklin, who were two local community volunteers who wanted to make a difference. They started that initial endowment with a gift and trust transfer totaling almost $80,000. 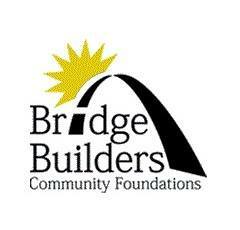 Today that endowment still exists as the oldest continued endowment in Bridge Builders Community Foundations’ portfolio, and distributes approximately $5,000 annually to local causes every year. The Venango Area Community Foundation changed its name to Bridge Builders Community Foundations in 2006 and created affiliates to serve the Venango, Clarion, Forest and most recently Punxsutawney area to leverage assets, fund management, and giving. It took a long time to evolve as a community foundation, and to become the umbrella foundation serving our four area affiliates. Through economic hardships, staff changes, and social impact over the years we have been able to uphold our values and stay true to what we were founded on 40 years ago. The hope of a better, stronger community. In our 40th year we are committed to planning for the future of this community foundation to ensure its sound fiscal standing and its unparalleled giving. Our Vision: By unifying the community foundations serving Clarion, Forest, Venango, Jefferson and other adjacent counties the Bridge Builders Foundations will provide an effective way of serving donors and communities by creating and growing endowments that serve the needs in our area. Provide an effective and efficient process for Fund investment, management and meeting state and federal regulatory requirements.